The fuel cell industry has demanding needs for high efficiency and high pressure air flow. Regenerative blowers offer the perfect solution to these challenges. Modern fuel cell blowers are compact and durable allowing companies to be more productive. At Airtech Vacuum Incorporated, we offer high-end vacuum pumps and blowers at very affordable prices. Our products offer rapid, optimized solutions which address total air system requirements for development and series production. Fuel cell industries face the challenge to convert fuel cell applications from laboratory standards into competitive line products. In order to distinguish fuel cell applications from other forms of power generation, technology developments are required to improve the cell fuels themselves and also perfect the components that are needed. The fuel cell blowers have an advantage of low carbon dioxide emissions and they are a common choice for many industrial applications because they have a reduced impact on the greenhouse effect. The regenerative blowers offer alternative form of power generation and they will continue to be a big part in the production industries in the future. Why Choose Airtech Vacuum Incorporated For Fuel Cell Blowers? At Airtech Vacuum Incorporated, we have vast knowledge base in the areas of vacuum and pressure technologies. For over three decades, we have been able to adapt existing products and develop new products to accurately meet the specific requirements of fuel cell technology. Our regenerative blowers are built to last and they can be custom engineered to be used in different industry applications. We are not only distributors but we are also a full line manufacturer who is ISO9001-2008, UL-, CE-, RoHS-, and CSA-certified. You rest assured that our products are of high quality and meet the required set standards. 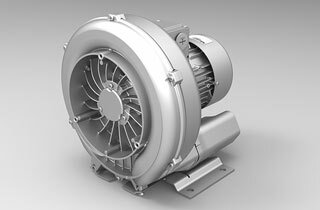 Since 1982, at Airtech, we have been working closely with our customers to custom design exceptional blowers to meet their specific needs. Our inventory includes ready to ship products which you can easily order online. To get more information about our products and services, you can contact our representatives who are always available to offer any kind of assistance. We have several offices throughout the US, with our main office located in Rutherford, New Jersey. You can place your order through our secure site and we will ensure fast delivery. Look through our inventory today for fuel cell blowers and buy at an unbeatable offer.